Yoselyn Ortega the nanny who is accused of killing Lucia and Leo Krim, ages 6 and 2 respectively, arrives for a hearing for her trial at Manhattan Supreme Court in New York, July 8, 2013. 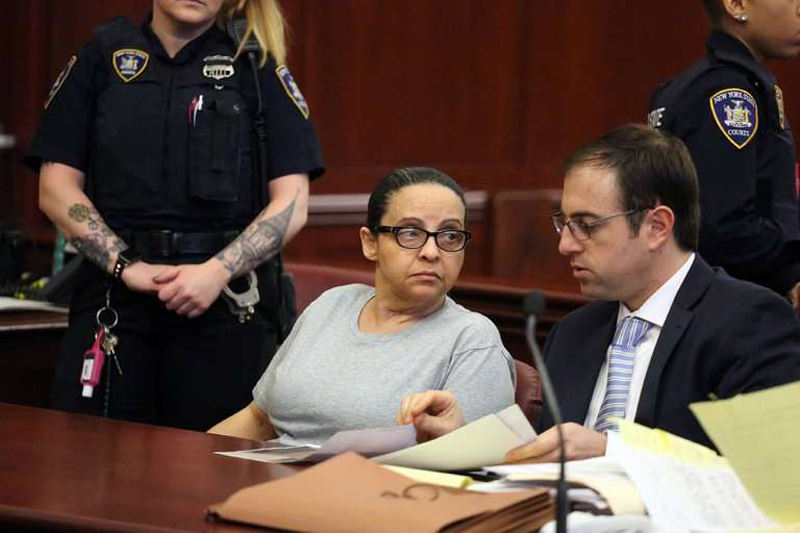 A former nanny who fatally stabbed two small children in her care planned and carried out the atrocity to inflict emotional pain on their mother, whom she resented, a prosecutor told a jury during summations at the woman’s murder trial on Monday. “She did it intentionally with a full understanding of exactly what it was she was doing — every stab, every slash,” the lead prosecutor, Stuart Silberg, told a jury in State Supreme Court in Manhattan. 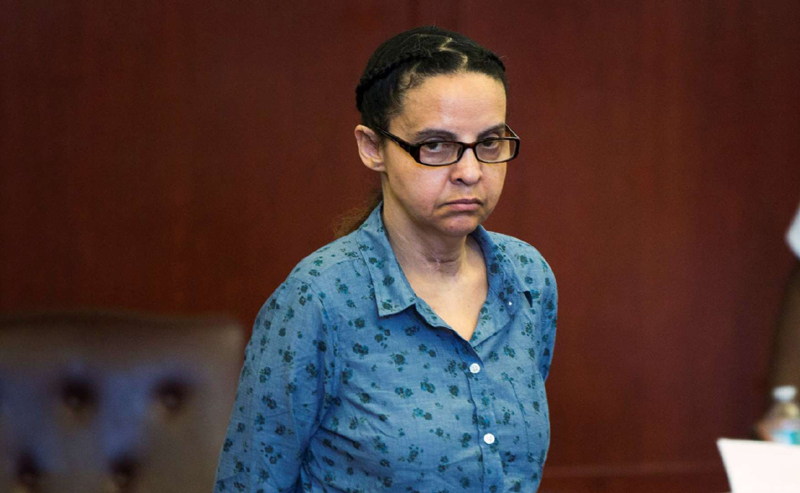 The nanny, Yoselyn Ortega, contends she is not criminally responsible for the gruesome killings on Oct. 25, 2012, because her mind was clouded by a psychosis so severe that she did not understand her actions. She maintains she cannot remember killing the children. Crime scene photos were shown on Tuesday in the trial of Yoselyn Ortega, shown last week, who is charged with killed two of the children she cared for as a nanny. In her summation, Ms. Ortega’s lawyer, Valerie Van Leer-Greenberg, argued Ms. Ortega had been experiencing paranoid delusions and hallucinations, as well as bouts of severe depression, going back to 1978. She had never been treated, however, and hid her symptoms from her employers and all but her closest family members. In the weeks before the murder, Ms. Ortega had been hearing voices, including one she thought was Satan’s, commanding her to kill the children, Ms. Van Leer-Greenberg said. Several family members and friends testified that Ms. Ortega’s behavior became more and more bizarre during that period: She complained of shadows following her, cried frequently and spoke cryptically of a “black man” who was trying to split up her family. 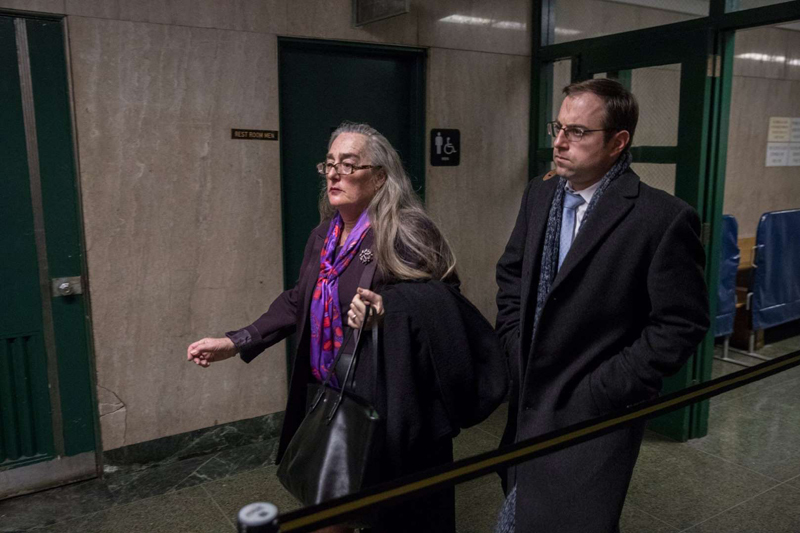 Yoselyn Ortega’s lawyers, Valerie Van Leer-Greenberg and Evan Van Leer-Greenberg, leaving court last month. Ms. Van Leer-Greenberg argued that Ms. Ortega had experienced paranoid delusions and bouts of depression going back to 1978. 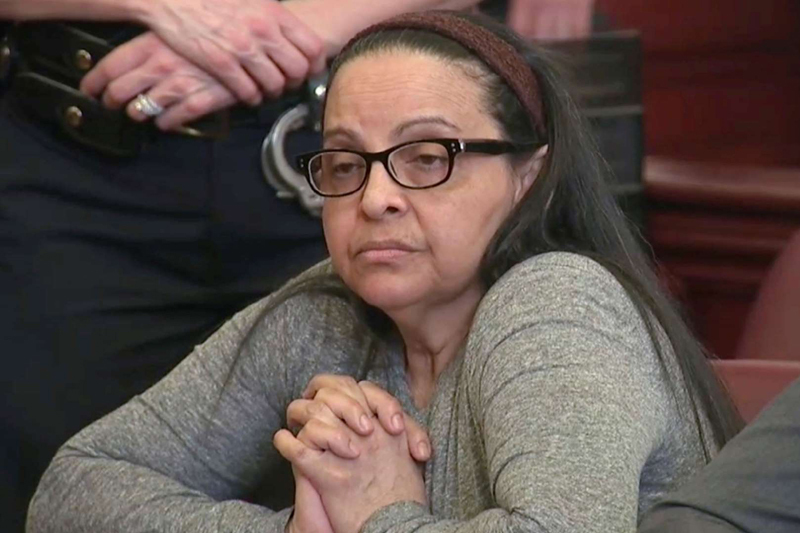 Ms. Ortega, 55, never disputed that she had killed Leo Krim, 2, and his sister, Lucia, 6, using two kitchen knives. Their mother, Marina Krim, arrived home at about 5:30 p.m., with her third child in tow, after Ms. Ortega had failed to show up with Lucia at a ballet class. Ms. Krim opened the bathroom door to find her other two children lying bloodied and lifeless in the tub. Ms. Ortega was standing nearby and jammed a knife into her own throat. 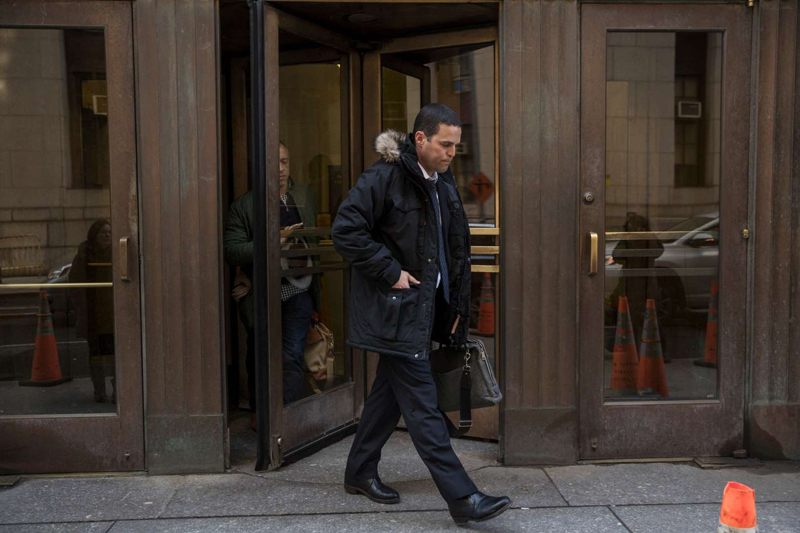 Kevin Krim, whose children Leo and Lucia were killed in 2012, outside State Supreme Court in Manhattan. To be found not responsible by reason of mental disease of defect, Ms. Ortega must prove she had a mental illness that prevented her from grasping the nature and consequences of her actions or from knowing they were wrong. The defense’s case during the six-week trial centered on expert testimony from two psychiatrists, Karen Rosenbaum and Phillip J. Resnick, who determined Ms. Ortega suffered from an undiagnosed psychosis for decades. Ms. Ortega’s lawyer also called as witnesses eight of the defendant’s family members and friends, who described Ms. Ortega’s past mental breakdowns in 1978 and 2008, when she became a paranoid shut-in after people close to her died. Her family members also described her crying fits, nervousness and paranoia about “shadows” following her in the days before the killings. Ms. Van Leer-Greenberg pointed out that four psychiatrists at NewYork-Presbyterian/Weill Cornell Medical Center, where Ms. Ortega was treated for her neck wound, came to the conclusion she had symptoms of psychosis, a diagnosis later confirmed by doctors at Elmhurst Hospital Center. Ms. Van Leer-Greenberg argued that the idea all of Ms. Ortega’s friends and family members — some of whom were subpoenaed to testify — were lying about her symptoms seemed far-fetched. “You have to believe these eight separate lay witnesses that have no background in psychiatry made up symptoms that were consistent with paranoid delusions, audio hallucinations, visual hallucinations, tactile hallucinations, major depressive disorder and dissociation,” she said. She suggested insanity was the only explanation for the crime, since Ms. Ortega had repeatedly told her sisters and other relatives she loved the Krim children. “The lack of a motive is the hallmark of her mental illness,” she said. Mr. Silberg reminded jurors that Kevin and Marina Krim had testified they saw no sign Ms. Ortega was losing her mind. He also noted Ms. Ortega appeared to be managing her life without trouble, enrolling her son in a private high school, moving houses twice that year and handling her own finances.